SANE was established in 1986 to improve the quality of life for people affected by mental illness. 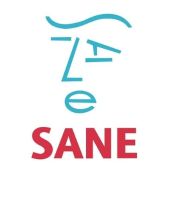 SANE is a leading UK mental health charity. We work to improve quality of life for anyone affected by mental illness. SANE's vision has remained consistent throughout its twenty five year history: to raise public awareness, excite research, and bring more effective professional treatment and compassionate care to everyone affected by mental illness. SANE offers emotional support and information to anyone affected by mental health problems through our helpline and email services and our online Support Forum where people share their feelings and experiences. For information about how we can help to support you or your cared ones please contact us or visit our website for further details.